Fatigue and fracture result in billions of dollars of damage each year. This book examines the various causes of fatigue including crack growth, defects, temperature, environmental, and corrosion. 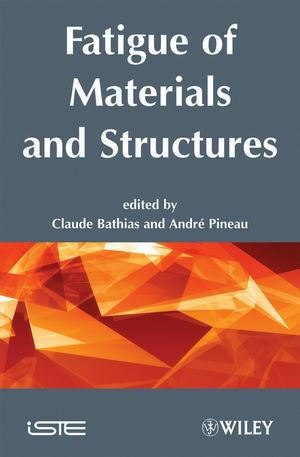 Claude Bathias is Emeritus Professor at the University Paris 10-La Defense. He started his career as a research engineer in the aerospace and military industry where he remained for 20 years before becoming director of the CNRS laboratory ERA 914 at the University of Compiegne. He has launched two international conferences about fatigue: International Conference on the Fatigue of Composite Materials (ICFC) and Very High Cycle Fatigue (VHCF). André Pineau is Professor at Mines ParisTech and a member of the French Academy of Engineering. He has published about 300 papers in international journals and edited or co-edited 10 books. His main research fields are phase transformations, fatigue and fracture of metallic materials.